Phalaenopsis orchids are one of our most popular plants and we always have a very nice selection of them in our shop. All of our orchids are presented in a tasteful and elegant pot and accented with natural trims and moss. 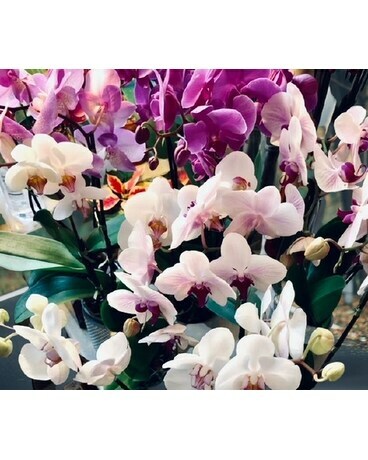 Whether for an expression of sympathy, birthday wishes, or any reason at all, let us select a beautiful orchid from our collection for your gift recipient!